As part of my work at Institute for Systems Biology, I prototyped a data mining system that combines data about proteins with knowledge about human disease. 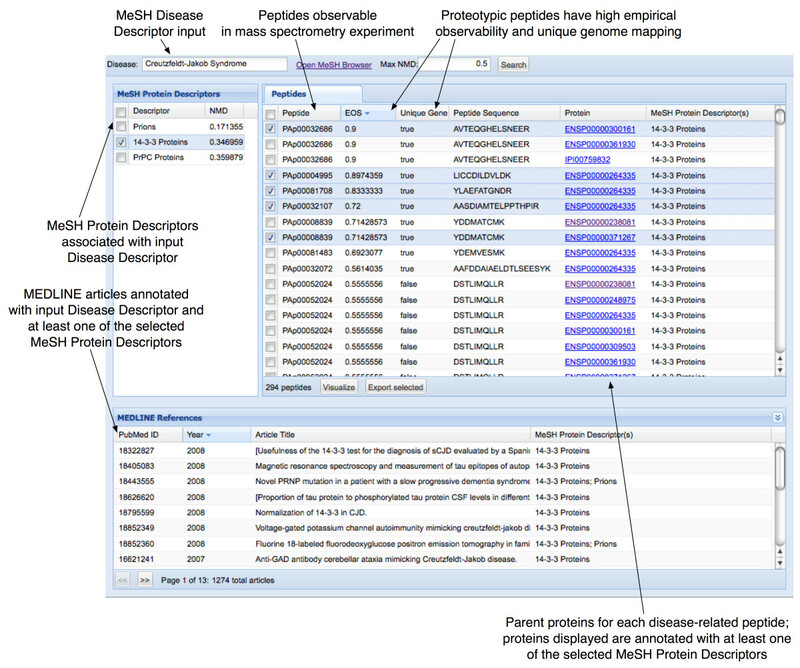 The basic UI allows researchers to explore potential biomarkers for disease by listing proteins and peptides that have been related to that disease in previously-published research papers. To implement this prototype, I identified relationships between proteins in PeptideAtlas with journal articles in MEDLINE using a semantic data mining technique. For more information, see the paper published in BMC Medical Genomics: mspecLINE: bridging knowledge of human disease with the proteome.